EU finance Ministers have assessed the financial lifeline for debt-stricken Greece. Any concrete decisions on the issue will be made by the European Commission, should Greece decide to formally request economic aid. So far Athens has not asked for help, but the plan is being seen as helping to shore up volatile financial markets weary of a Greek debt default. However, not all are convinced it should be saved, making the prospects of an aid deal look bleak. Member of European Parliament David Campbell Bannerman from Britain's UK Independence Party foresees the failure of the euro. Bannerman thinks Greece should be aided, but it still might not save the euro. “There does need to be a bailout for Greece. They are talking about a massive sum of €25 billion here. But the real problem of Greece might be bigger – the estimates say it might need as much as €55 billion by the end of this year. It's hard to come to any satisfactory agreement. We just think the Euro is not sustainable when you have a weak economy like Greece tied in to strong economies like Germany. It just doesn’t work,” he says. “We believe the Euro will collapse either totally or in part. This is the first of a number of countries, it's not just Greece. They call them 'the pig states' – not a nice term, but they are, apart from Greece, also Portugal, Italy, Ireland, and Spain. Having a 44% unemployment rate among its young, Spain could well be next,” Bannerman adds. 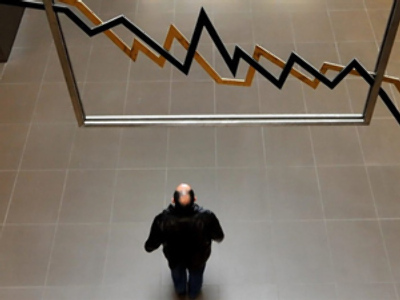 Greece has a huge budget deficit and is struggling to cut state spending. The country needs to raise some 55 billion euros this year to plug its 300-billion-euro black hole. Strikes and protests have ravaged the country, as the government tries to enforce urgent austerity measures. Despina Koutsoumba from the Confederation of Greek Civil Servants Trade Unions says it is not the people who should pay the price for this crisis. “The public deficit of this country is 300 billion euros. [Greece’s] Bankers earned an equal amount of money for the last six years. We have some offshore companies here in Greece that earn 500 billion euros a year and they pay no taxes. I pay 25% in taxes from my salary, which is very low. And they are preparing to cut our salaries and our pensions to gain 1.2 billion euros,” Despina Koutsoumba says. “In the last five years we had a redevelopment as high as 4%, but our salaries were increased by 2%. Someone else earned the other 2% – the bankers, the big enterprises – those are the people who are to pay for this crisis that we didn’t provoke. They provoked it,” she added.